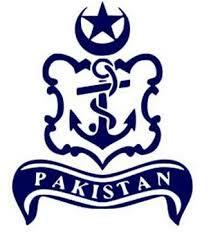 Vice Admiral Muhammad Zakaullah was appointed as vice chief of naval staff on Monday. According to a press release by the Naval Headquarters (NHQ), Zakaullah was commissioned in the Pakistan Navy operations branch in June 1978. He is a recipient of the Sword of Honour. He is a graduate of Royal Naval Staff College (UK) and National Defence University Islamabad. He was awarded Chief of Naval Staff gold medal on his graduation. Zakaullah holds a masters degree in defence studies from London University and a masters in war studies from the Quaid-e-Azam University. His has previously held the posts of directing staff PN Staff College, assistant chief of naval staff (Plans) and defence attaché in Qatar. As a flag officer he has served as National Accountability Bureau Rawalpindi director general, chief inspector (Navy), Combined Task Force-150 commander, deputy chief of naval staff (Training and Personnel), naval secretary and Pakistan Fleet commander. Prior to his appointment as the vice chief, Zakaullah was serving at the NHQ as deputy chief of naval staff (Operations). Zakaullah has also twice had the honour of winning a gold medal in the Asian Games Sailing Championship. Chief of Naval Staff Vice Admiral Zakahullah are very nice and justice personality. Since I know Him Personely very Humble N Graceful Person may Allah almighty Grant Him Much more Blessings N Bright feature EnshAllah Long live Zakaullah sb ! From Bahrain ……. I admire this great personality of century these kind of people born in centuries these are among those who are the backbone of nation but nation don’t know them and their sacrifices and hardworking and loyalty. His personal and professional life is full of noble deeds and full of honesty and he is offering prayer 5 times a day and if you wiLl see his family environment you can’t say that this family of vice chief bcz very simple and mankind and all their family ladies wearing hijab and offering namaz and this is the only one person in history that never do corruption never drunk never did zana and never involve in nepotism. Mr vice admiral zakaullah our pakistani nation salute to you. May Allah keep you in almighty”s hifzo amaan ameen. I agreed with mr muhammad above comments, I never saw such great honest personality in all over the world navy in this era.